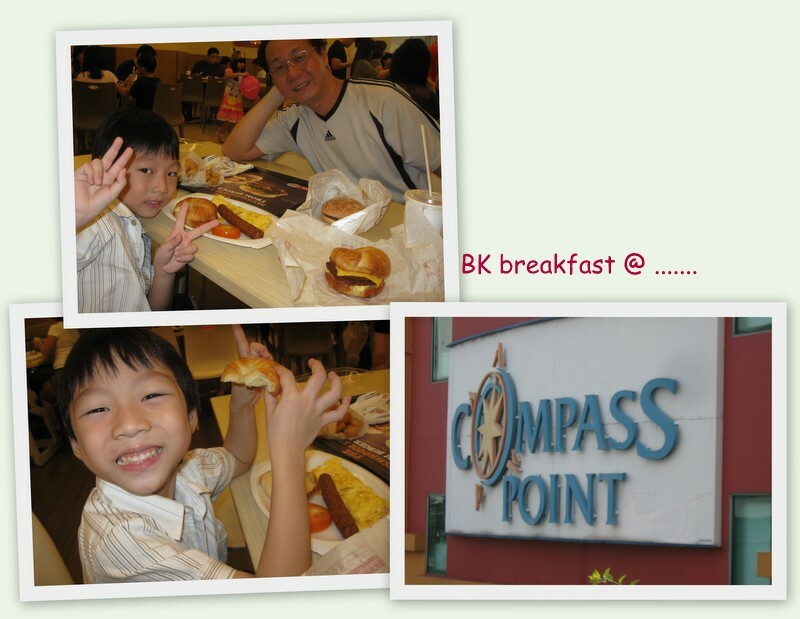 First stop for the day was a BK breakfast @ Compasspoint. We have been wanting to try out the BK breakfast for the past 2 weeks but have been disappointed by the super long queues we see almost every Sat. This time, luck was on our side, no long queues.... Baby G was super happy. By the time we finished, it was quite late to go to the Esplanade (our original plan) to watch the Act 3 play at the Concourse... so we decided to go shopping instead. 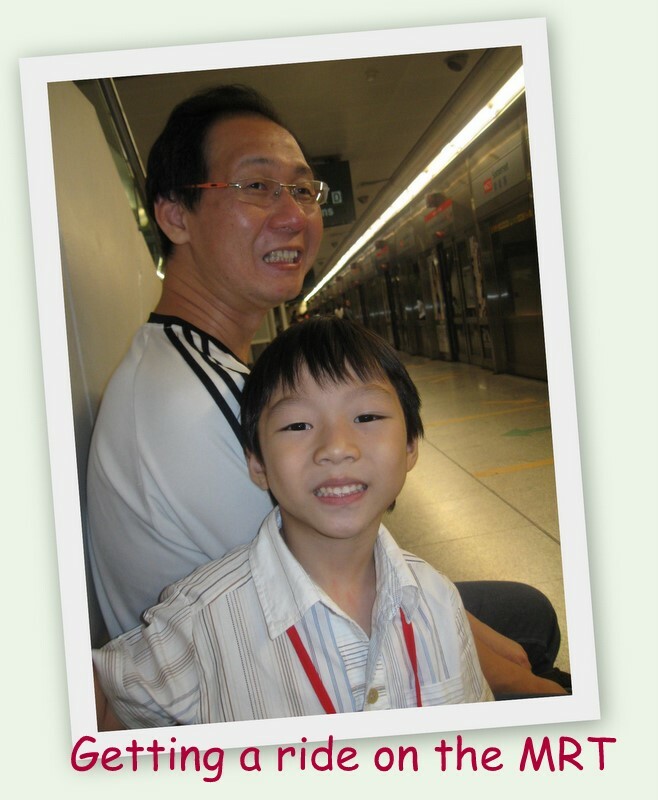 Baby G wanted to take a train ride, so we took the MRT down 1 stop to Orchard to stop by Lucky Plaza to check out the exchange rate for our Taiwan trip. 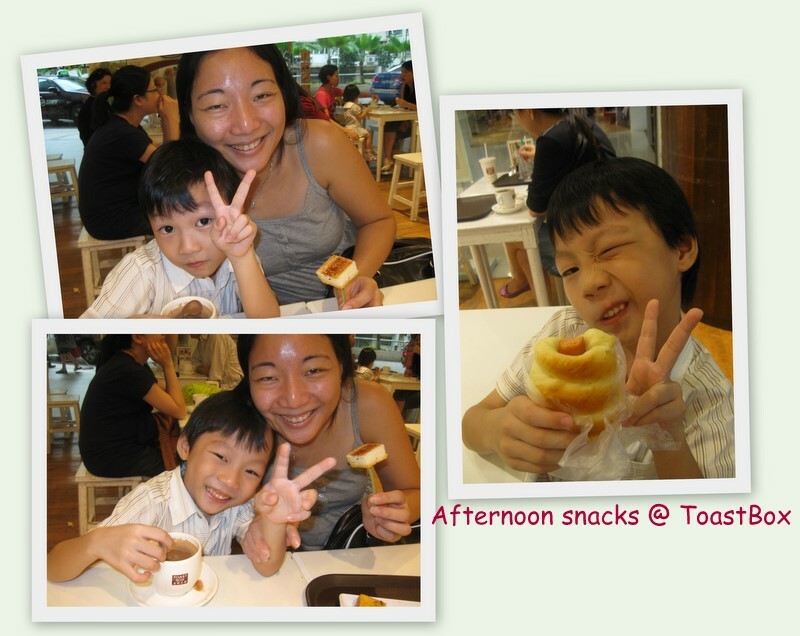 As it was quite late, we just stopped by the 1st food stall for our lunch. 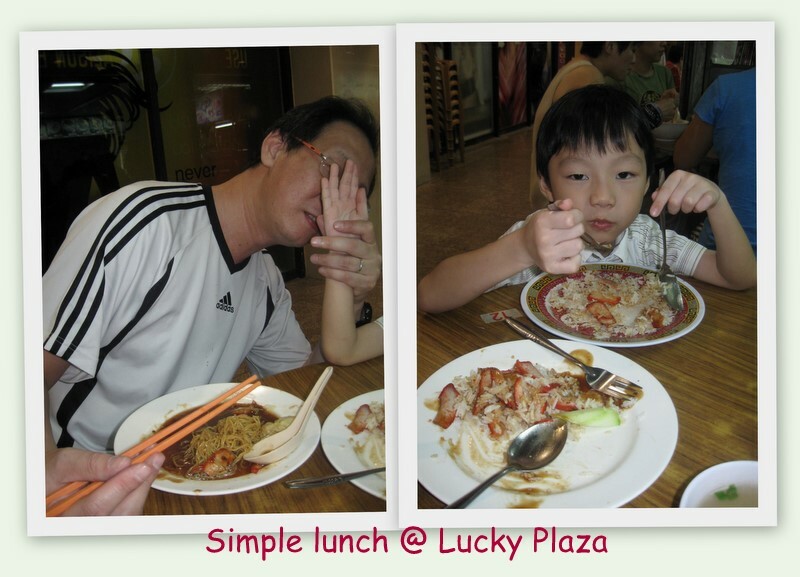 It was a simple meal of Char Siew Rice & Wan Tan Noodles. After lunch, we took a walk back to our carpark. As we promised Baby G a movie, we decided to head on down to GV Grand for the "Johnny English - Reborn". 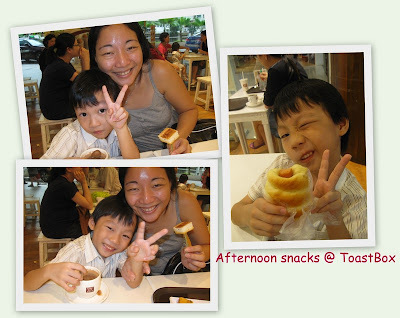 As it was still early, we sat down for some afternoon snacks.... been wanting to try the "Garlic Tom Yum" toast on ToastBox's menu.... sad to say, it was only so-so... couldn't taste the Tom Yum at all..... tasted more like spicy garlic toast instead. Dinner was at Skinny Pizza which recently opened an outlet at Great World City. The staff were quite nice & chit chatted with Baby G. Alex didn't really care for the Mushroom selection I made as he said it was too 'mushroomy'. But the English Breakfast was nice. By then, Baby G was too tired to appreciate the food, he just took 1.5 slices and said he wanted to sleep. We quickly finished up our dinner... but as we walked past the TimeZone, Baby G "miraculously" became wide-awake. He said he wanted to go in to take a look. He asked me if I brought the card and wanted to play the Animal Kaiser machine. Sadly, all 4 machines were taken up by 3 kids & 1 adult. At first, I thought the adult was sitting there accompanying his 2 sons... but then I realised he was actually playing... I wouldn't say 'playing'.... more like sitting there and swiping his card. He didn't even press the buttons.... he basically swiped his card and let the machine run on its own and he collected the card after that... hmmm.. where's the fun in that? He did this several times & at the same time, his 2 sons were also playing the machine beside his. In the end, Baby G walked around to other machines til it was quite late.... convinced Baby G to go home and rest since he had not napped the entire day. As expected, in the car, he slept like a log & couldn't even wake up. Had to carry him all the way home. What a long but enjoyable day.